Lokrakshak Recruitment Board (LRB) Will Publish New Examination Date of Police Bharti soon with in Month at http://lrbgujarat2018.in. We Requested Candidate to Check OJAS Website on Regularly for updates. 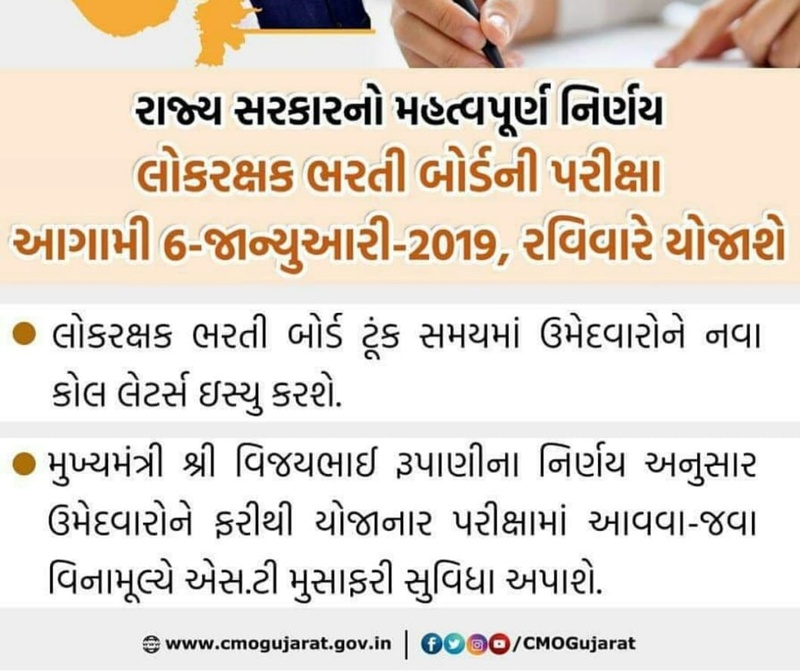 According to lrbgujarat2018.in Police Constable Written Exam Date will be Available on Ojas Very Soon.